Football is such an amazing game but like everyone knows also very cruel when u concede in the last minute of extra time. Belgium with an amazing goal to finish the game. I generally speak a lot post match but right now I am just speechless.....!!!! #BELJPN is the most positive match in the #Worldcup so far. I can't remember any medical team running onto the pitch for treatment. No fooling around. Just pure football. Two teams going for victory. Today is a day when Japan made Asian football proud. This is one of the most cleanest games so far this in this #WorldCup, no fouls, no cards, no divings, no VAR drama, just plain, clean, interesting football. Another great game at a marvellous World Cup. Heartbreaker for a terrific Japan. Credit Belgium for fightback. 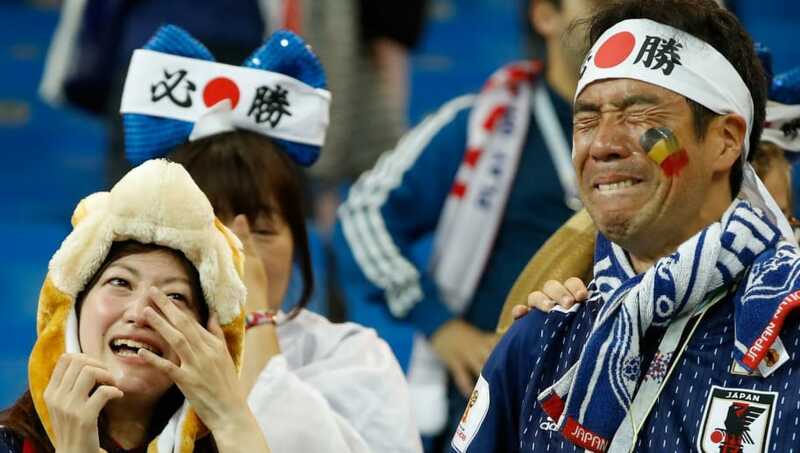 Heartbreak for Japan. Last minute winner for Belgium. Both subs scored for Belgium. Fellaini & Chadli. The same people who would have called for Martinez’ head if Belgium had lost have got to give him credit for changing the game at 2-0 down. Buzzing for Brazil vs Belgium!